One who knows the secret of this device meets the Supreme Divine Guru. Above the store is a niche, and within this niche is the commodity. One who remains awake, never sleeps. The three qualities and the three worlds vanish in the state of Samadhi. He takes the Beej Mantra, the Seed Mantra, and keeps it in his heart. Turning his mind away from the world, he focuses on the cosmic void of the absolute Lord. He remains awake, and he does not lie. He keeps the five sensory organs under his control. He cherishes in his consciousness the Guru's Teachings. He dedicates his mind and body to the Lord's Love. He considers his hands to be the leaves and branches of the tree. He does not lose his life in the gamble. He plugs up the source of the river of evil tendencies. Then, he speaks with the Lord of the world. The four-sided lamp illuminates the Tenth Gate. Inner cleansing techniques, channeling the energy to raise the Kundalini to the Tenth Gate, inhaling, exhaling and holding the breath by the force of the mind; by empty hypocritical practices, love for the Lord is not produced. Only through the Shabad is the sublime supreme essence obtained (sggs 1043). The Kundalini rises in the Sat Sangat, the company of true and wise; through the Gur-Shabad, they enjoy the Lord of Supreme Bliss. The Supreme Guru is the Lord over all; so serve the True Guru, in thought, word and deed (sggs 1402). The Primordial Energy resides in all bodies as Kundalini. Although the name Kundalini is mentioned in the Gurbani (Sri Guru Granth Sahib, SGGS), however, in order to understand it, one needs to reflect on the related six Chakras (rings), the five Kosa or sheaths, the"three bodies", the three states of consciousness, and the five elements, as well as their interrelationship. These five sheaths are briefly described as follows. The physical body is called the food sheath. As the name implies, the physical structure arises out of food, exists in food, after death goes back to become food for other living organisms. This sheath consists of the five organs of perception and five organs of action. The vital-air sheath represents the internal physiological functions of the body. This sheath consists of five faculties: (1) Prana or perception, (2) Apana or excretion, (3) Samana or digestion, (4) Vyana or circulation, and (5) Udana or thinking. This sheat controls and regulates the food sheath. With age, all five faculties become weaker. The next is the mental sheath which controls and regulates the food sheath and the vital-air sheath. The mind is always in the state of flux. It is the source of emotions and feelings. The mental sheath is controlled by the next sheath called intellectual sheath, which is the seat of judgment, decision, and directed thinking. The next is called the bliss sheath. This is the innermost or subtlest of the five sheaths, which regulates the intellectual sheath. It consists of Vasanas (innate tendencies or undogested desires) before they become manifest into thoughts and actions. Karana Sarira or Causal Body. The gross or physical body is made up of five elements, ten senses, the five vital airs (Paraanas), and four subtle inner faculties namely mind, intellect, consciousness, and egoity. The subtle body is made up of the mind, intellect, consciousness, egoity, and five elements. As the name implies, the causal body is the cause of other two bodies. The gross body consists of the food sheath and the vital-air sheath. It is made of five elements: space, air, fire, water, earth. Through this gross body we contact the outer world to gather stimuli for our experiences. The mental and intellectual sheaths together constitute the subtle body. The subtle body is made up of thoughts. In other words, the mind and the intellect is the subtle body. The bliss sheath constitutes the causal body. It consists of vasnas in unmanifest form. The causal body is the Maya attached to the Jiva . Due to ignorance, the Jiva remains attached to it, whereby, becomes separated from its true Self. To put it otherwise, our actions constitute the causal body. Sookham asthool sagal Bhgawaan - The auspicious Master is contained everywhere including Sukshma and Sthula (sggs 299). Through spiritual inquiries, the sages recognized that the three bodies are active in experiencing the outside world through the three facets of life, the state of waking (Jaagrat), the state of dream (Swapna), and the state of deep sleep (Sushupti). Even though the Aatmaa (ego, consciousness or Self) is the same in all states; but, due to material conditioning, we act differently in these states as though we in ourselves are three different entities. In other words, the Infinite consciousness is one and the same, the Reality is one and the same, though it functions differently in the three planes of existence and, in these three states, it seems to gain three different sets of experiences. Accordingly, the waker in us seems to act different than the dreamer in us, and the ego manifesting through the sleeper in us seems to act different from both the waking and dream-state in us. Chaare Beda kathahi vakhiaan. Teen avasthaa kahahi vakhiaan. Turiya Avasthaa satigur te jaan: The four Vedas describe the world of objects. They explain and expound three states of consciousness. The Turiya Avasthaa, the Fourth state of consciousness, is known through the True Guru (sggs 154). The first state called waking-state-ego, results from the ego enjoying the expression of consciousness through the gross body. In the waking-state-ego, we are aware of our body, mind, and experiences gained in the external world of the sense-objects. To put it otherwise, in the waking-state the consciousness becomes dissipated through the mind and the sense organs in the external world of sense-objects and registers knowledge of them. That is all. To put it otherwise, while awake, the only enjoy known to man is these five fields of the objects of the five cognitive senses; forms, taste, sounds, smells, and touches. Hence, conditioned consciousness (false ego) confounded itself with the frame of the body, seeing through the ignorance of its own True Nature, perceives a world of sense-objects, and thus deluded by its own false perceptions, experiences the waking-state. Our knowledge of the world-of-objects in this state is the sum total of our perceptions gathered through our senses. The second field of consciousness, the dream-state-ego, results from the play of consciousness in the subtle body. When the same awareness playing in the outer world-objects withdraws and identifies itself with the subtle body, it creates a distinct personality called the dreamer, who has for its sphere of activity the world of dreams. In other words, the state of dreamer is created when the consciousness is withdrawn from the gross body and it fuctionts through the subtle body. As the dreamer is unaware of the gross body, he functions in the world of dreams, because he is conscious only of the inner world of objects. The dream world is nothing but a mental creation of the dreamer himself. During the waking-state, the mind experiences the world of sense-objects and gathers impressions. During the dream-state, one part of the dreamer's mind observes these impressions in another portion of his own mind! In the third state, the deep-sleep-state-ego, the sleeper does not desire any sense-objects, nor does he see any dreams. It is the withdrawing of consciousness from the gross (waking) and subtle (dream) bodies and functioning through the causal body that creates the state of deep-sleep. In other words, this state takes place when we are conscious of neither body nor the mind, therefore it is a state of living in which usual instruments of cognition are closed down! Here the Self identifies Itself with the causal body which is made up of nescience. The only thing we experience in deep-sleep-state is utter ignorance or negativity; for there is neither form, nor sound, nor smell, nor taste, nor touch. It illumines nothing in particular, except the one single idea: "nothingness.” Here in the deep-sleep-state-ego, thus, the entire consciousness available in the human form is consolidated and conserved. As a result, there is no agitation in the mind, because none of the forces that create mental agitation and sorrows in the waking and dream states are present here. Therefore, in this state of homogeneous solid mass of pure consciousness, the Jeeva experiences complete joy and bliss, by means of the subtle nescience. It is the gateway (cause) for the projection of consciousness into other two states of consciousness, the dream and the waking. For example, when the consciousness from the sleep-state is projected upwards, it illuminates the dream-state, and again, when the projection increases and come to the outer world, the same consciousness makes it possible for us to know the external world of sense-objects outside, in the waking-state-ego. The waking-state-ego and the dream-state-ego are conditioned by both cause and effect. Ignorance or non-apprehension of the Reality is the cause, and the resulting phenomenal world of names and forms is the effect. In the dream-state-ego, although we are unaware of the world of outer gross objects, but we are aware of the world of plurality or inner objects. The deep-state- ego is different than the waking and dream states in that it is conditioned by only the cause. Again, ignorance of the Self is the cause which gives rise to plurality, finitude, doubts, limitedness, and misunderstanding. There are no effects in the deep-sleep state as we are unaware of the multiple world of phenomenon. Teeni biaapahi jagat kayu turiya paavai koyi: The world is in the grip of the three; only a few attain the Fourth state of consciousness, Turiya Avasthaa (sggs 297). The Self, which is absolute bliss, is the witness of the three states of consciousness (i.e., the Self is common factor present in all three states). The true nature of the Self is pure, absolute bliss. Then, what inhibits us from realizing this Self, our true nature? As gurbani says, our pure Self is covered by the layers of material contamination or undigested vasnas. These layers are created by our delusion caused by our false association with the mundane world. As a result, we constantly try to find bliss in the outer world. These efforts provide us temporary joy, followed by long spells of miseries and sorrows. Realization of this Pure Self (i.e., the"Witness") is called the Traya, Chauthaa Pada or the Fourth state. It is said that the soul enters into matter as a spark of omnipotent life and consciousness. Its instruments are subtle and causal in nature. The soul enters the primal cell of life wearing two forms: a causal body, which in turn is encased in a subtle body. As the name implies, the causal body is the cause of subtle and gross bodies. Thus, the soul is encased in these three bodies. The powers in the various elements of the subtle body help build, maintain, and enliven the gross physical form. The yogis mention that the centers of life and consciousness from which these powers function are the subtle brain ("lotus"of rays of light or vibration), and the subtle cerebrospinal axis (or sushumna) containing six Chakras (rings) or subtle centers. Khat nem kar kothree baandhee bastu anoop beech paayee - The Creator has fashioned this body chamber with six rings (chakras), and placed within it the incomparable thing - that is soul (sggs 339, ln 12). Ultat pawan chakra khat bhede surti sun anuraagee - I turned my breath inwards, and pierced through the six chakras of the body, and my awareness was centered on the Primal Void of the Absolute Lord ( sggs 333, ln 3). The top most Chakra or subtle center is located in the Medulla. It is located in the brain between eyebrows (seat of the single or spiritual eye), and the top of the cerebrum ("lotus"of rays of light). This is the powerhouse of life force and consciousness. It supplies power to the subtle centers. Cervicial or Vishudha center is located in the spine opposite to the throat. Its associated element is ether. This center produces the sense of hearing. It maintains the etheric background of the body, and its work produces the musical cosmic sound (Dhuni) of ocean rumbling. Dorsal or Anahata center is located in the spine opposite to the heart. Associated element is air, its work produces the bell-like or gong sound. It enables the oxygen and the prana or life energy in the body to combine with the physical cells, and is also responsible for the sense of touch. Lumber or Manipur center is located in the spine opposite to the naval. Associated element is fire, its work produces the harplike sound. Its function is to produce the sense of sight, and to maintain the heat of the body. Sacral or Savdhirthan center is located in the spine opposite to the generative organs. The associated element is water, it sustains all the watery substances in the body, and is responsible for the sense of taste. Its work makes the sound of a flute. Coccygeal or Mooldhar center is located at the base of the spine. The associated element is earth, and it makes a sound of a buzzing bee. It is responsible for the solidifying of the primal life force into atoms of flesh, and for producing the sense of smell. The scriptures reveal that the human body is made by five elements (i.e., ether, air, water, earth, and fire). As indicated above, the five subtle centers located in the spine are associated with five different vibratory elements, functions, and musical cosmic sounds (Dhuni). The sixth medulla center, located above the five spinal centers, continuously recharges with life and consciousness all the sub-powerhouses of vibratory elements. Mastak padam dualai mani. Mahi niranjan tribhavan dhani. Panch sabad nirmaail baje - on the forehead is the Lotus and around it are the jewels (or rays of light). In the center is Pure Lord, the Master of the three worlds; the melody of the five pure sounds resounds there (sggs 974). One cannot see these Chakras with the physical eyes. Also, one cannot take them out by cutting the body. How mystic the human body really is! With the help of the above background, we can now try to understand Kundalini. The lowest of the six subtle centers is the coccygeal center, which is located at the bottom of the spine. As mentioned by the yogis, all the subtle powers of consciousness and life force flowing downward from the higher centers into the coccygeal center come into physical manifestation through the channel of this lower center. As the life force flows outward from the coccygeal center, it creates and sustains the region of flesh, bones, blood, marrow, organs, nerves, veins, arteries, glands, muscles, skin, and so forth. Kundalini is this coiled creative life force at the base of astral spine (Mooldhar center). Due to its coiled form of a sleeping serpent, it is symbolized as a snake. When this life force is allowed to flow down due to mental delusion, its stinging venom causes the man to enjoy evil passions. In deep meditation or devotion, when a devotee turns this creative force inward and commands it to flow upward back to its source in the"lotus"of light, it reveals the resplendent inner world of the divine forces and consciousness of the soul and Spirit. The flowing of this power from the coccyx to the Spirit is referred in Yoga or devotion as the awakened Kundalini. In other words, when the spiritual power (born of divine ardor and dispassion) is lifted upward, it opens or awakens the five spinal centers. The purpose of human life is to reverse the flow of consciousness by directing it ascend upward until it unites with the"lotus"of rays of light in the highest center of brain. According to sages, the consciousness of man is identified with the three lower centers of the spine (coccygeal, sacral, and lumbar), which operates under karmic laws. The liberated man (Jivanmukta) rises above the subtle centers and penetrates to the highest center of the brain. Here the devotee beholds his soul as a true reflection of the perfect Spirit, beyond everything. He is transformed into divine bliss. Kundalini can be awakened or released either by yoga system or by the path of Bhagti. Awakening of Kundalini by the yoga system include yogi exercises or Pranayama. The path of the Bhagti includes the practice of loving devotion, joining the Saadh Sangat or the company of the true and the wise ones, and chanting God's Name. In Saadh Sangat, one attains self-control and mental purity necessary for awakening the Kundilini. For the speedy awakening of Kundilini, the path of Bhagti is proclaimed by the spiritual masters to be more practical, simple and effective for this age of Kal Yuga (Dark Age). Kundalini surjhi sat sangat parmanand guru mukh machaa - through the association with saintly souls, the Kundalini ia awakened, and the Lord of supreme bliss is enjoyed (sggs 1402). Ih man nirmal je har gun gavai - By singing Lord's glories, this mind becomes immaculate (sggs 1067). Amrit ras kirtan har gayeeai ahinis pooran naad - The singing of nectar-sweet praises of the Lord day and night, one enjoys the Anhad Naad or celestial music (sggs 1219). Naam lait anhad poore naad (sggs 1144, ln 8). Being established in the"True House"
Attainment of the Fourth state or Chautha Pad, etc. "Suneeai jog jugat tan bhed" - by hearing God's name the mortal understands the ways of uniting with the Lord and the body's secrets (sggs 2)! Guru Nanak's followers were Sikhs (seekers of truth). He taught them to bow only before God, and to link themselves to the Guru, the Light of Truth, who lives always in direct consciousness of God, experiencing no separation. Through words and example, the Guru demonstrates to followers how to experience God within themselves, bringing them from darkness into light. Guru Nanak was a humble bearer of this Light of Truth. For Sikhs, the Shri Guru Granth Sahib is the living embodiment of the Guru, and is regarded with the utmost reverence and respect wherever it is found. Sikhs all over the world took to the Shri Guru Granth Sahib as their living Guru, as the source of spiritual instruction and guidance. It is true that Guru Nanak's teaching has the potential to unite all faiths as far as the Aykaa Mayee, Self-realization and kundalini awakening is concerning. But there is nothing in the Guru Granth Sahib about the Last Judgment or Al-Qiyamah. Only the Aykaa Mayee (One Divine Mother) is able to explain how all faiths dovetail into a single Great Event ordained for all humanity. 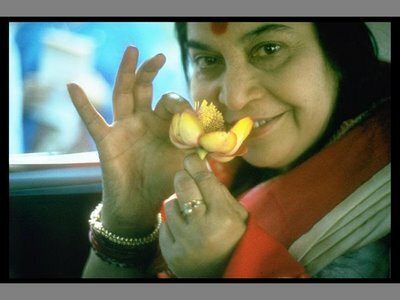 Shri Mataji Nirmala Devi is the incarnation of the Aykaa Mayee (One Divine Mother) who upholds the teachings of Guru Nanak and all other prophets. As the Divine Feminine She unites all faiths, barring none. It is said that a Khalsa is born for universal welfare and redemption. In his redemptive life, his concern is not limited to his own salvation but it embraces the whole humanity in which he clearly beholds his own All Pervading Beloved Satguru. So John, what is the message of the Aykaa Mayee that embraces the whole of humanity today and unites them under the All Pervading Beloved Satguru? Surti is a kind of chewing tobacco or snuff common in India and Nepal. 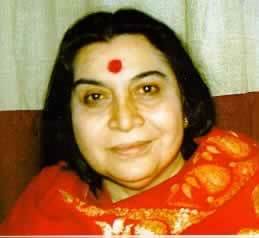 "Sahaj has a very special meaning spontaneously. You do not have to exert. You do not have to go into a penance or work it out. In a Sahaj way you can do it. Sahaj also means easy. You can have it in your heart, all these qualities, without any difficulty whatsoever. Its the easiest thing for you to be righteous, than to be otherwise. Its easier for you to be honest than to be otherwise.